This updated version of the WebCrossing server fixes a rare bug. Sometimes – and so far we’ve only seen this at one site – deleted folders fail the usual existence test for folders. In other words, even though a folder was deleted, it might look like it’s there if you try to open it in a script. Since it’s really not there, it can cause confusion. And depending on what you try to do with such non-existent folders, it might even cause a server crash. This release fixes the existence test and also prevents such crashes from happening. The latest release version is now WebCrossing 6.4-1324 2016-09-21. Don’t have any idea what this means? That’s ok. Your developers do if they are scripting with WebCrossing! Even if you are not doing custom development, it’s a good idea to upgrade to make sure you have all the latest fixes, optimizations and feature enhancements. The latest release version is now WebCrossing 6.4-1322 2016-08-05. This new version of the Webcrossing server highly optimizes the export of entire site information to SGML files, particularly for very large sites with customization. The enumeration of internal objects is blazingly faster than in previous versions, allowing you to export entire databases in much less time than before. In addition, we have fixed a database import bug that would sometimes cause crashes while importing large databases to an empty Webcrossing server – which is a task you might want to do when cleaning up databases or performing other maintenance. Export and import is also useful for moving or copying parts of your Webcrossing forums hierarchy around the same site, or when transferring information to another Webcrossing server. The latest release version is now Webcrossing 6.4 source: origin/6.4-1305 2016-01-14. Note: The format of our version numbers has changed with a change in our versioning system. Happiest of New Years and Many Thanks! 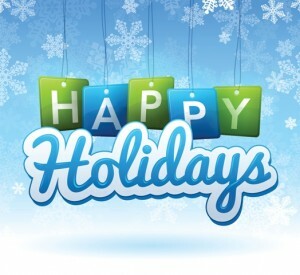 Everybody at Elliptics wants to wish you a warm holiday season. us, and it is especially exciting participating in new site development and strategies for better user experience and growth. From our smallest customers to our largest, is has been a genuine pleasure working with everybody. And we look forward to continuing working with you in 2016. We look forward to even more build releases, and exciting new projects in the upcoming year. Please be sure to let us know if you need anything, have some new customizations in mind, or have ideas for new features. In the upcoming year we also would love it if everybody looked closer at Webcrossing Neighbors – our private-labeled full-featured social network solution built around Webcrossing. It could be that an affordable social network solution is something that could help your organization grow and communicate better. But more on that later. In the meanwhile, have a warm and Merry Christmas, and a great New Year’s holiday and let’s look forward to new and rewarding experiences in the coming year. This new version of the Webcrossing server fixes a possible server freeze during indexed site search which could occur with certain search keyword combinations if the server’s tagging engine was corrupted for some reason. The new build prevents such a freeze, returning the expected search results. There were some rare cases when access to a secure port connection (e.g. Port 443 using HTTPS) would fail to connect. Non-secure (HTTP) connections would continue and the server would otherwise continue running normally, but parts of a site accessible only via secure connections would not be accessible. This is now fixed in the new build. The latest release version is now Webcrossing 6.4 source: 1688 2015-07-09. Elliptics Webcrossing server upgrades for all hosted sites! We are upgrading some fundamental virtualization software at our data centers. Our testing shows startup times are an order of magnitude faster, and benchmark tests show at least a 3x improvement in most cpu and disk related operations. We will be migrating all our hosted sites to the new servers, and will contact our hosted customers as needed if there will be downtime. None of this is required or urgent, just an improvement in your server operations. No changes will be required on your end. Last year we also upgraded all our servers to SSD (solid state storage) instead of old “spinning disk on a spindle” (HDD) drives and enhanced memory. This software-based upgrade will provide even greater optimizations. If you are a self-hosted customer and wish to move to our hosted data centers to take advantage of our ongoing security checks, daily backups, high performance SSD storage and high-speed network please contact us for assistance. A new security advisory, CVE-2015-3456 called VENOM (Virtualized Environment Neglected Operations Manipulation), was recently released by the Linux Foundation. Our data centers in Dallas, Newark, London, Atlanta and Tokyo are secure against this vulnerability.